Currently, women hold more than 50 per cent of the positions on the KSU at the University of King’s College, but the KSU executive says that’s not enough to combat sexism in student politics. 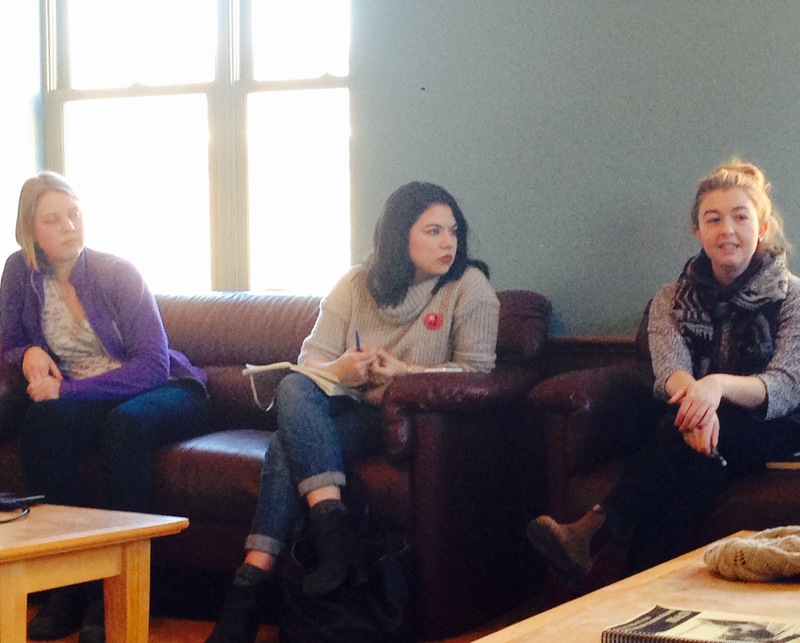 The three women of the current KSU exec held an event Thursday afternoon to speak with females about their roles in student government. Sexism was a topic that couldn’t be ignored. Elections are drawing near for King’s and the women of the KSU exec are hoping the school will remain a safe and open student government for all genders. 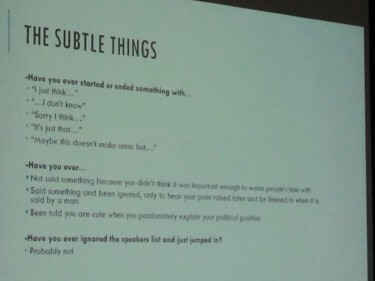 They also wanted to share their experiences of sexism in student politics. Anika Roberts-Stahlbrand, the external vice-president of the KSU, said it’s difficult to feel like you have a voice in student politics, especially when male-dominated. She says she had to edit most of her vocabulary to sound more assertive. Michaela Sam is the current president of the KSU. She has been a part of the student union for the four years she has attended King’s. She says the blatant sexism she received upon entering student politics was shocking. Sam first stepped into student politics as the first-year rep for the KSU. Sam says her elected win was quickly dismissed because the school has a high female population. Emily Rendell-Watson is the financial vice-president for the KSU, a position that hasn’t been held by a woman in more than seven years. Rendell-Watson says she often isn’t taken seriously. The event was open only to non-male-identified people. The three women of the exec says this was so that females could share their experiences without having to explain themselves. Roberts-Stahlbrand says there are certain times for solidarity and creating allies. But at the same time, women need to have an open discussion about their experiences in student politics. Women. The word for female human adults is women.